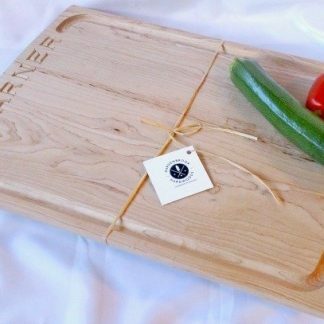 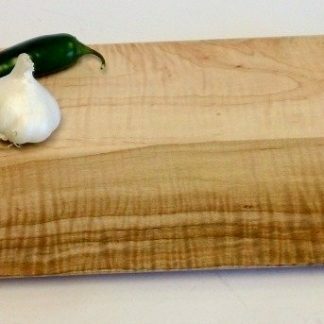 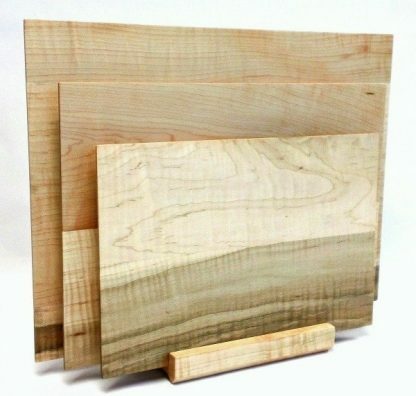 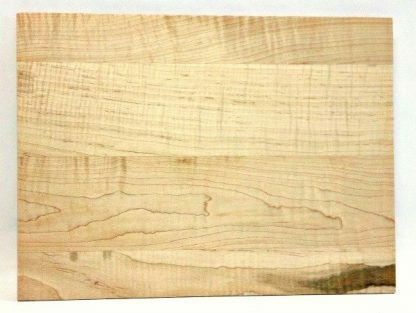 Our 12″ x 16″ Veggie Board in figured maple is an eye-catching, modern addition to your kitchen. 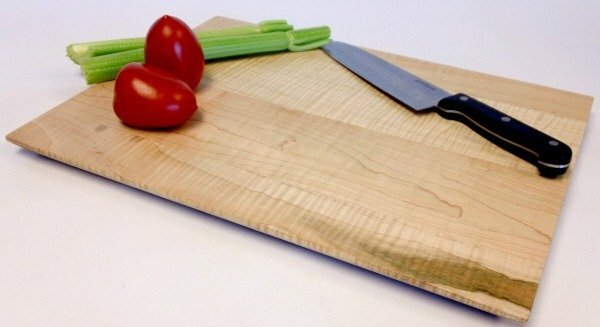 Its beveled edges and light weight make it easy to handle. 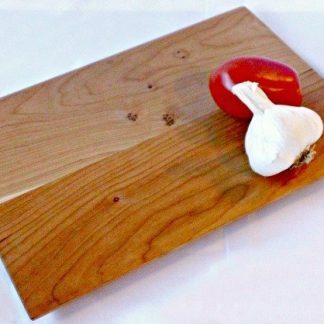 Finished with a blend of natural waxes and mineral oil. 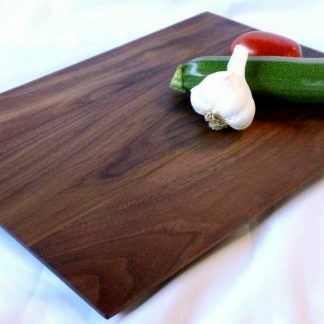 Our 12″ x 16″ Veggie Board in figured maple is an eye-catching, modern addition to your kitchen. 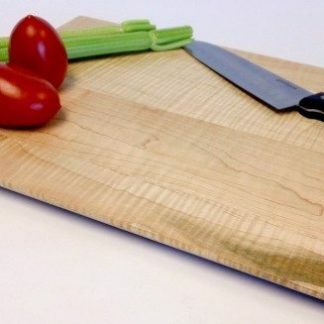 Its beveled edges and light weight make it easy to handle. Finished with a blend of natural waxes and mineral oil. 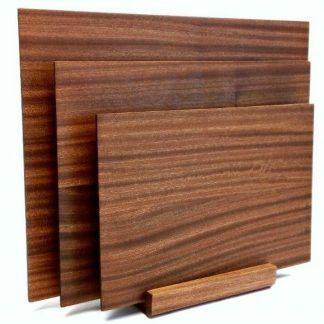 Rubber feet are also added to the back for non-skid use.